The Army component of US Central Command (USCENTCOM), US Army Forces Central Command (ARCENT), maintains a forward presence in the region. Government-to-government agreements were negotiated with the Qatar and Kuwait to allow the prepositioning of military assets. The Army has met major milestones in its security strategy in the Middle East by completing a prepositioning facility in Qatar, and by the rapid pace of construction on a new installation in Kuwait. These facilities support USCENTCOM's efforts to protect US interests in this region in accordance with the National Security Strategy. US forces use these facilities under a variety of agreements, which include host nation involvement with providing and managing the facilities. 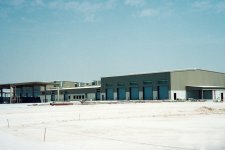 The US constructed its largest pre-positioning base outside the US in Qatar. Facilities were constructed in Qatar to support CENTCOM's prepositioning of military assets in the Central Region, in accordance with government-to-government agreements. The work is for both the Army and Air Force. For the Army, facilities were built in three fiscal year packages to accommodate a heavy armored brigade. Warehousing and storage facilities were built for the Air Force. 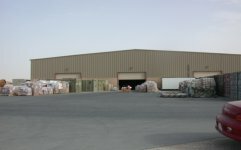 Under governmental agreements, the State of Qatar is responsible for providing land and utilities for the warehousing facilities. In Southwest Asia, the Army maintains equipment for two armor brigades. 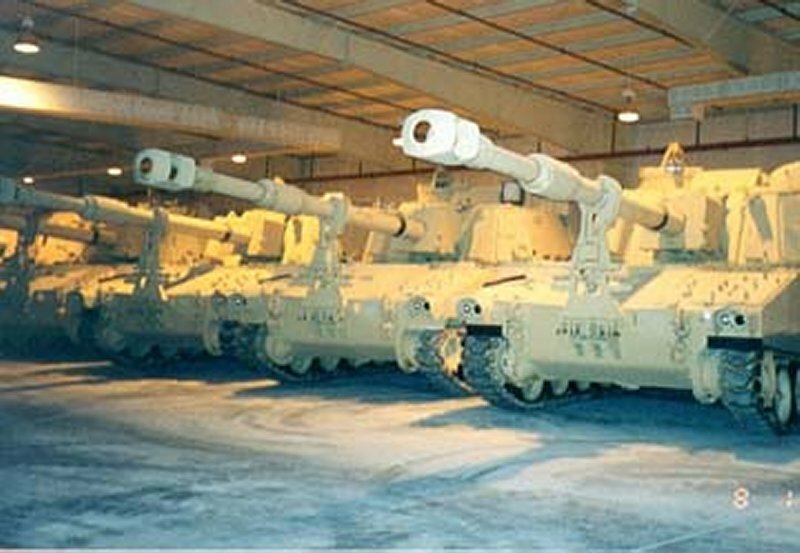 The first brigade set was prepositioned in Kuwait in FY 1995. The second set, which includes equipment for a division headquarters, is in Qatar. 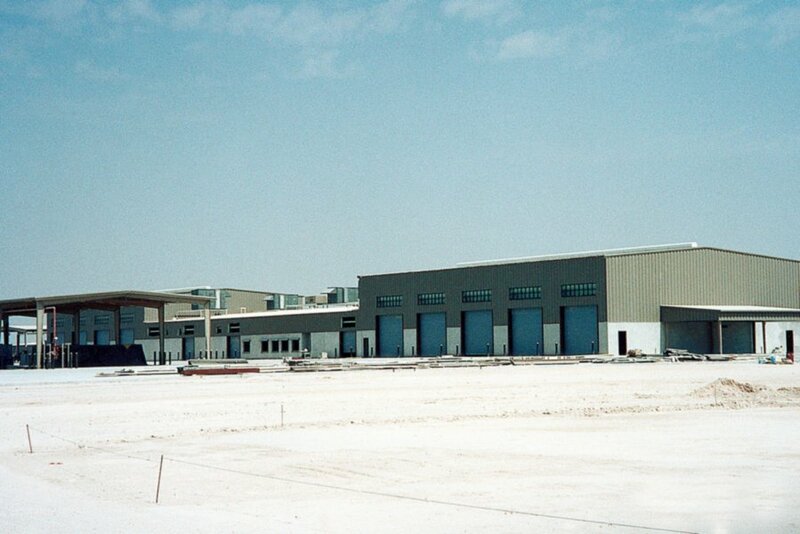 The Army's newest and largest pre-positioned stock (prepo) facility opened in Qatar in August 2000. 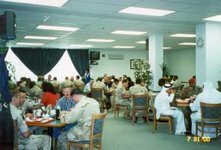 The facility falls under the forward command of Army Forces Central Command-Qatar, which is one of three forward commands in the region maintained by the Third US Army and Army Forces Central Command, based in Atlanta, Georgia. In September 1995, Lieutenant Colonel Charlie Smithers was tasked to establish ARCENT-Qatar and receive a battalion set of equipment within four months. By January 1996, in Qatar, Third Army/ARCENT had pre-positioned the first increment of the next brigade set of equipment on the Arabian peninsula. The primary reason for this installation was to contribute to the National Security Strategy that calls for the rapid deployment and forward presence. The Army prepo equipment in the Gulf allows for a much more rapid deployment of troops in the area. 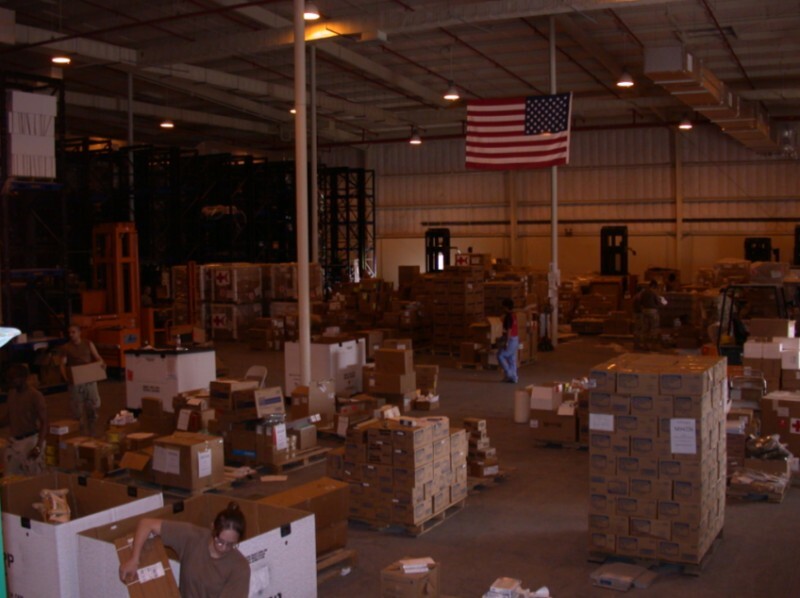 The mission of the 262-acre, climate-controlled facility is to store and maintain a brigade-sized equipment set that will facilitate the rapid movement of personnel, equipment, and supplies by land, sea, or air to other countries in the region. Because of Qatar's location, the reception, staging, onward movement, and integration of vehicles and troops from Qatar will be different than from other countries in Southwest Asia. Troops will not be able to land in Qatar and drive the equipment from the site to the local area for combat. Instead, advance parties will fly to Qatar, draw the equipment, and use commercial heavy equipment transporters to move it to port to be loaded onto ships for transport to the combat zone. 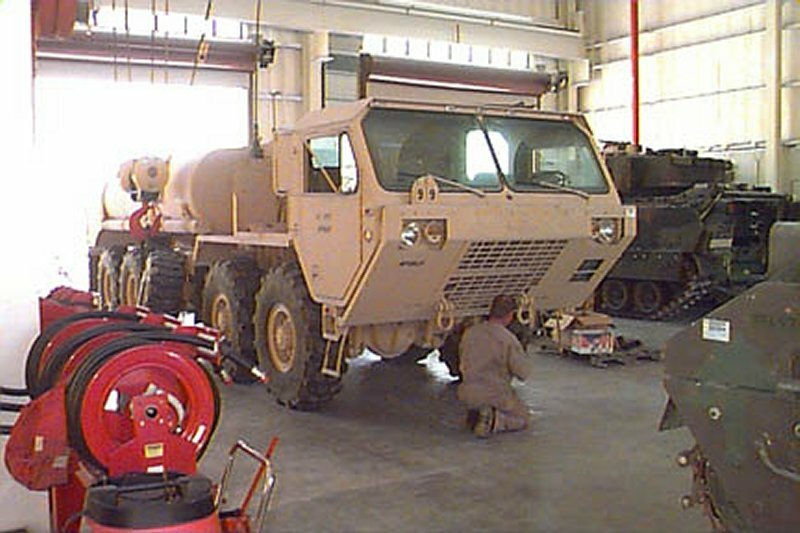 Examples of the Army's logistics responsibilities include inland petroleum and water distribution. The equipment stored at the facility is intended for issue to Army forces but may be used to support joint forces if needed. 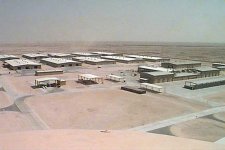 The existing military installation known as Camp As Sayliyah is located on the outskirts of the capital city, Doha, Qatar. 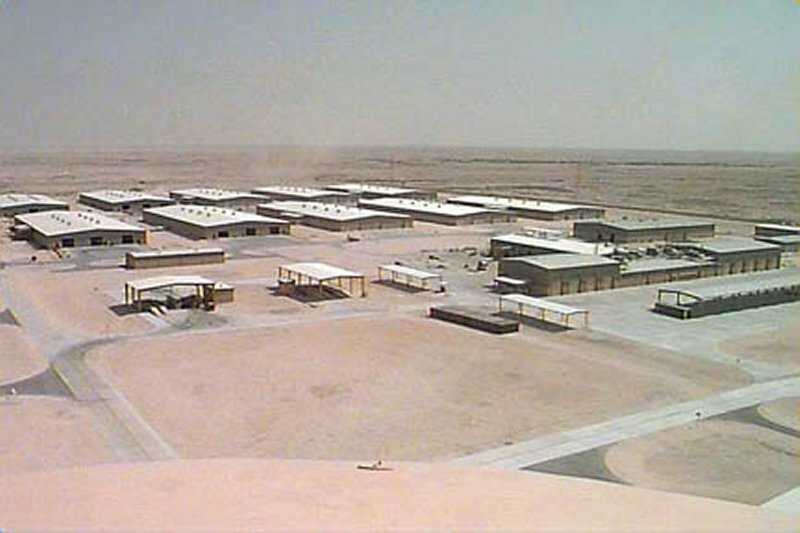 The main base site in Qatar, Camp As Sayliyah [also known as Sayluhah], is the Army's newest prepositioning facility. Completed in summer 2000, the three-phase, Congressionally funded construction program totaled more than $110 million. This facility places a large force of armor and support units that can be quickly stood up in response to any crisis in the region. It is the largest single prepositioning site for the Army in the world. Literally, the US can fly troops in and issue the equipment to have them ready to go to war. 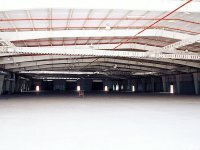 The site contains a variety of storage facilities and warehouses, such as controlled humidity, general-purpose, air conditioned, and general maintenance and supply. Its maintenance structures include a large maintenance and preservation building, and workshops. 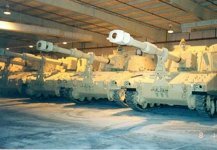 When the 1st Cavalry Division contingent rolled into Kuwait in January 2000, it drew a company of Bradley Fighting Vehicles from the Army's prepositions warstocks in neighboring Qatar. 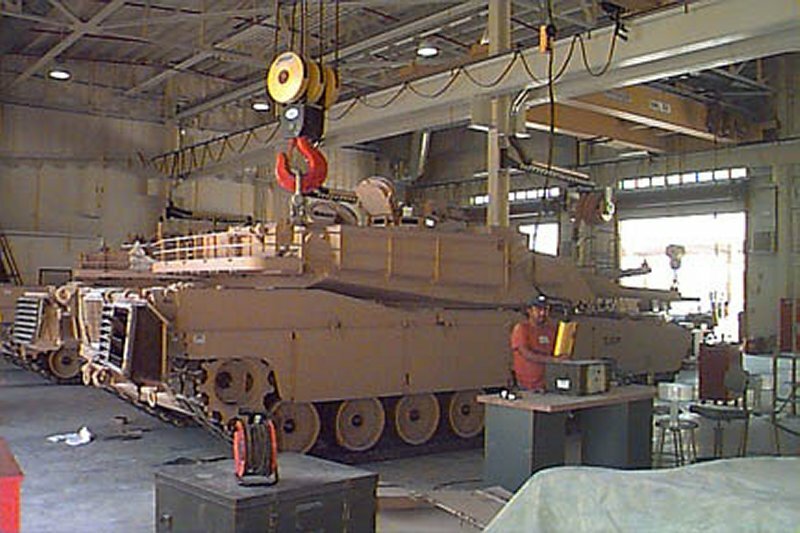 On August 15, 2000, Army Materiel Command's (AMC) Operations Support Command at Rock Island Arsenal, IL, awarded ITT Industries, Systems Division a 10-year contract, valued at over $50 million, to perform maintenance and supply support for Army Prepositioned Stocks (APS-5) in the State of Qatar. 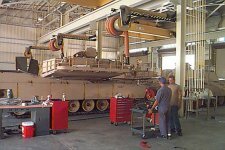 The scope of the contract includes performance of organizational and direct support maintenance of a heavy brigade set of equipment, and operation of related retail and wholesale supply support services. Additionally, some maintenance support, in the area of scheduled preventive maintenance services, will be performed on vehicles and equipment located in Bahrain. The APS-5 Qatar project joins two other Systems Division projects at the site: Qatar Base Operations and Maintenance and Operations and Maintenance Support-Southwest Asia (OPMAS-SWA). The project is located on a recently constructed US Army site near Doha, Qatar. 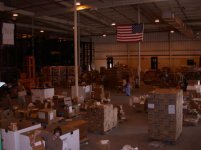 All of the facilities are less than 5 years old and include a state-of-the-art maintenance and preservation facility, a Consolidated Receiving and Shipping Point (CRSP), and 23 controlled humidity warehouses, in which the entire brigade set is stored. 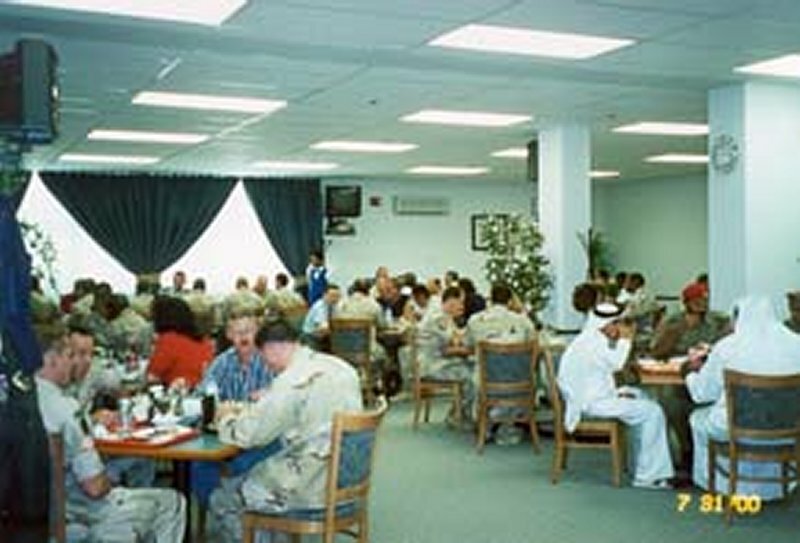 The APS-5 Qatar project consists of a mix of US, Indian, Pakistani, and Bangladeshi employees, many of whom were employed by ITT at Camp Doha, Kuwait from 1994 to 1999, and several employees who transferred from the Directorate of Logistics (DOL) contract at Fort Sill. Partnering is a key aspect of this contract and project personnel are working with their AMC counterparts in the implementation of the partnering process. ITT personnel completed the 90-day transition process on November 30, 2000 and are now in full contract performance. 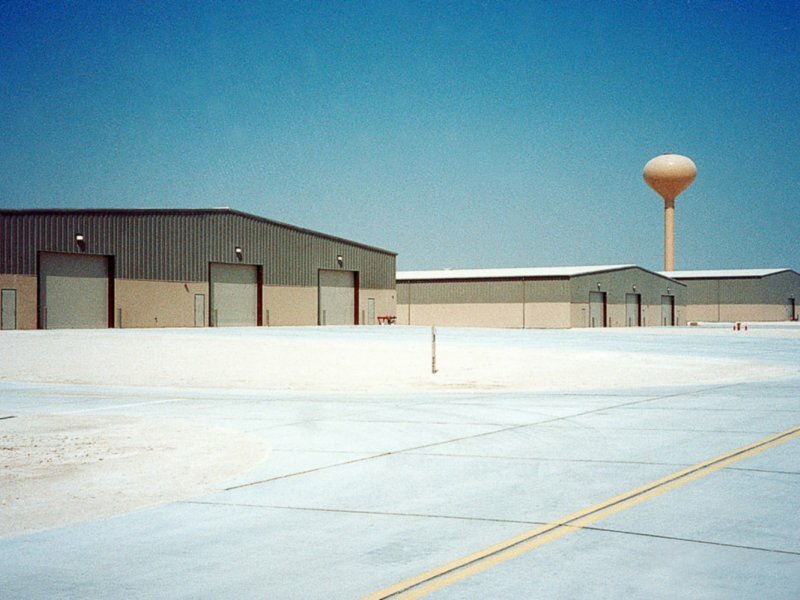 With the completion of this large US-financed military facility in the eastern desert, Qatar became the principal staging area for American ground forces in the Gulf. This is the US Army Central Command's largest pre-positioning facility outside the continental US. The facility is located about an hour out of Doha. A towering wall, protected by .50-calibre machine guns, encloses rows of warehouses housing the equipment for the 11,000 soldiers who make up an armored brigade and a division base. 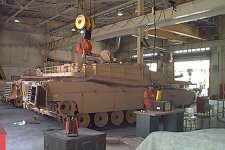 The facility houses more than 150 M-1 Abrams tanks, 116 Bradley fighting vehicles, and 112 other armored personnel carriers. The pre-positioning is expected to cut the response time for a US deployment from four weeks - as it was at the time of the Gulf War - to four days. 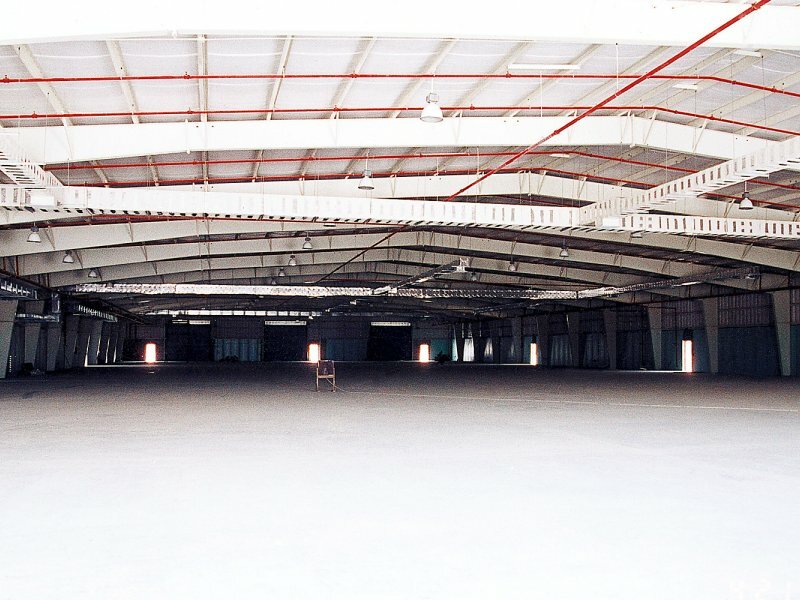 In total, there are 27 warehouses with about 1.6 million square feet or 36.3 acres of enclosed storage space. The US Army also installed 10 kilometers (6.2 miles) of roads and almost four kilometers (2.48 miles) of fencing. 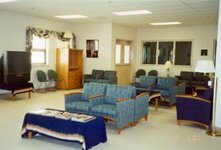 Support structures provide for a group headquarters, administration building, community center, dining facility, and enlisted and officers quarters. The site also has open storage areas, sunshades, and all associated utilities. Construction of the first phase was fully underway in 1996. The contracts were structured to give the Army fully usable facilities with the completion of each phase. 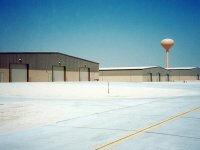 Practically all of the warehousing, storage, and maintenance facilities were completed in the first two phases. The quality of life facilities, such as quarters and community center, were completed in Phase III. For almost four years, this site was under construction. When the Army arrived, it was a big flat field, and the Corps of Engineers was just getting its office stood up. Year after year, hundreds of people worked to build this facility, oftentimes in sweltering heat. Any construction job in the Middle East will present similar challenges, such as placing concrete in 120-degree temperatures, or meshing the quality of work standards between the local labor force and US specifications. But the quality of construction in Qatar is at the same level as you'd find on Army installations in the US When the first phase of construction was finished, the Army expedited the turnover of the warehouses to relocate the equipment sets that were in temporary storage. That was an intense period because Phases II and III were also under construction. The Army also didn't have a large permanent party presence, so it didn't have a DPW (Department of Public Works) to perform operations and maintenance (O&M). The Corps of Engineers developed an O&M contract to perform services in areas such as preventive maintenance, custodial, utilities, and roads and grounds. Tentative date for contract award is 24 January 2002. All work will be performed in the State of Qatar, primarily at Camp As Sayliyah and an Ammunition Pre-Stockage Point but also at other miscellaneous sites operated by US military forces. Base operations may include, but are not limited to: operating a power plant; facility maintenance; roads and grounds maintenance; custodial services; refuse collection; pest control; collection and holding of hazardous wastes; energy conservation; master planning; housing office administration; supply service activities of Class I-IX materials; central issue facility operations; property holding and classification; installation transportation; passenger travel; motor pool operations; household goods shipments; environmental program management and administration; moral, welfare and recreational activities; postal operations; emergency medical services; public affairs support; photo lab support; finance and accounting support; safety program management and administration; security guard services; dining facility operations; bulk fuel storage operations; and base support for contingency operations. In early January 2002, it was learned that senior U.S. military planners were to deploy to Camp As Sayliyah, to staff the headquarters in preparation with a war with Iraq. U.S. Navy Seabees as well as Army engineers were reportedly working on preparing the facility for the arrival for as many as 1,000 personnel. Preparations included converting 33 warehouses previously used for storage.